Ada County Elections has led the way in bringing the vote to the people. 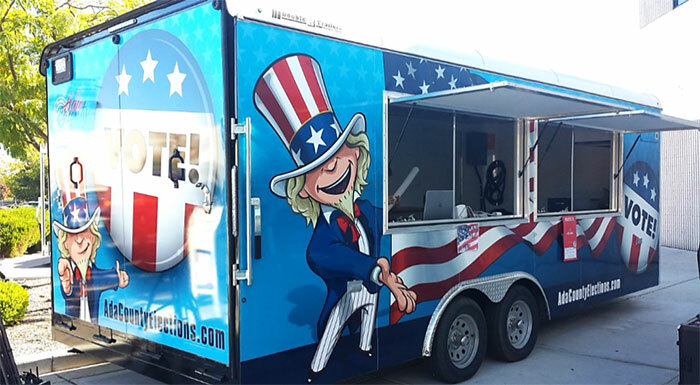 The trailer is an extension of Early Voting and is designed for ease of use by any Ada County resident who wants to vote when they see the trailer out in the community. Be sure to bookmark this page for upcoming locations and hours during Early Voting. We will post our latest schedules and keep this mobile service rolling along; printing ballots on demand and quickly serving voters across Ada County.